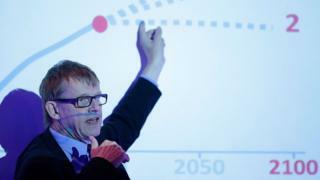 Hans Rosling, a Swedish professor of global health and well-known public educator, has died aged 68, his Gapminder foundation has announced. Mr Rosling was diagnosed with pancreatic cancer a year ago and died in Uppsala, Sweden. He was known for lively presentations that used data and animation to explain global development in a compelling way. His Gapminder co-founders said that they would continue to fight for "his dream of a fact-based worldview". Mr Rosling was a professor of global health at Sweden's Karolinska Institute but decided to "drop out" in 2007 to dedicate his time to Gapminder, which allows users to create their own data visualisations. He co-founded the foundation with his son Ola Rosling and daughter-in-law Anna Ronlund in 2005. In a statement announcing his death, they said the time he dedicated to Gapminder "made him a world-famous public educator, or Edutainer as he liked to call it". 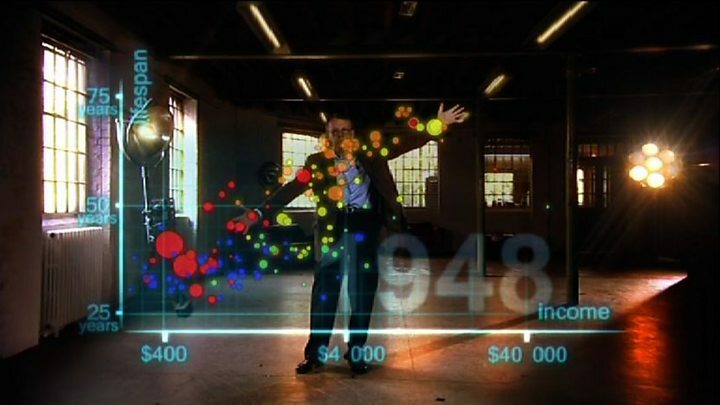 Hans Rosling became widely known after a talk he gave at a Technology, Entertainment, Design (TED) conference in 2006 called "The best statistics you've never seen" was watched millions of times online. In it, he used animated bubble charts to show how developing countries were catching up in development indicators with the West, presenting in the style of a sports commentator. Mr Rosling presented Don't Panic: The Truth About Population on BBC2 in 2013, which included a demonstration of how British university graduates would be outperformed by chimpanzees in a test of knowledge about developing countries. He enjoyed debunking myths about the changing world, including fears of massive overpopulation due to decreasing child mortality. "I've watched people have this 'aha' moment when Hans speaks," Melinda Gates of the Gates Foundation told the journal Nature last year. "He breaks these myths in such a gentle way. I adore him." Gapminder was set up to provide a view of the world different to that which most people would imagine from reading news headlines, its website says. Facts, Mr Rosling believed, could correct "global ignorance" about the reality of the world, which "has never been less bad". The Swedish professor was listed as one of Time's 100 Most Influential People globally in 2012 and gave advice to charity leaders, technology company executives and globe-trotting politicians like Al Gore. Image caption Nato Secretary-General Jens Stoltenberg paid tribute to his "extraordinary knowledge"
Image caption Bill Gates called him a "great friend"